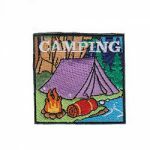 Make the “Campfire” Patch a symbol that your group has participated in learning the rules of a safe and fun campfire outing. Remember fire circle safety for all levels. Always build campfires in fire pit or fire ring. Have water, bucket and shovel ready before building a campfire. Hair should be tied back when around the campfire and clothing should not be too loose. No running near the fire. Pay attention when you are near the fire circle. Respect that the number of girls around the fire circle needs to be limited for safety. Take turns when cooking over the fire. Girls should know how to collect wood for the fire. Use only dead wood found on the ground. Do not break off of trees. They should be looking for wood no wider than an adult wrist. If the branches can’t be broken by hand, they are too wide and may not burn completely. Girls this age should know how to safely tend a fire. Campfires should be kept small. No bigger than 3 feet high or 3 feet wide. If it is windy, the fire might need to be even smaller. At this age girls should be able to feed the fire responsibly. Only put in more wood as needed. They should remember that they need to stop feeding the fire well before they plan to put the fire out. Remind the girls that they want the fire to burn down to ash and not have chunks of burned wood remaining once they are done. Girls at this age should not only be proficient at making and tending a fire but responsible for putting it out responsibly. Unburned ends of wood should be pushed into the fire to make sure they will be burned down to ash. The ash should be completely soaked with water. Stir the ash to make sure there are no warm spots. Completely soak the ash again. The fire bucket is not for live embers but for cold ash. The fire bucket should have water in it and the ash should be shoveled into the bucket. Bring ash to the ash pit if one is available. If not, follow the directions of the campground you are visiting. If there is a firewood shelter at the campsite, unused wood should be stacked there. If not, the branches should be scattered naturally in the area surrounding the campsite. 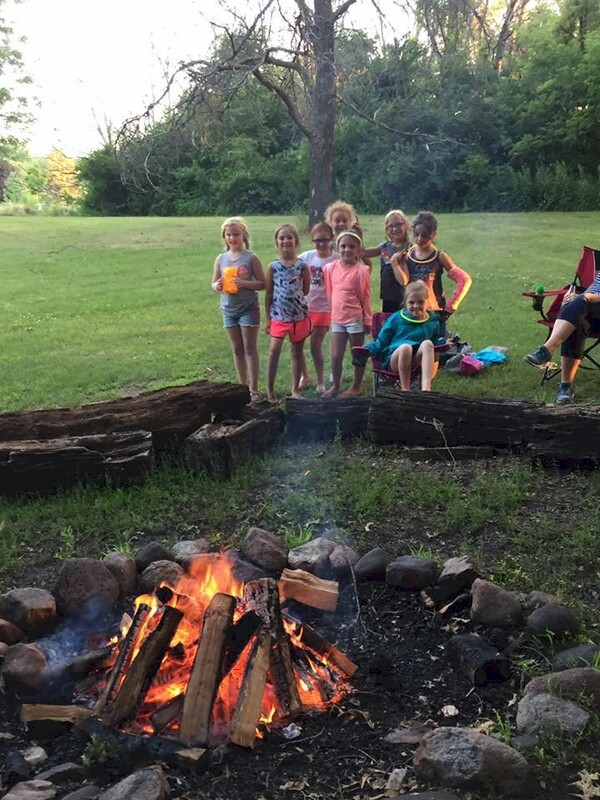 Brownie* troop 17695 from Minneapolis rented out a Girl Scout* camp for a weekend. The girls attended a full day camp and then were able to spend the night. We received a campfire patch and earned four badges- Snack, Bugs, Hiker and First aid. We had a huge water balloon fight, roasted marshmallows and made memories that are priceless! 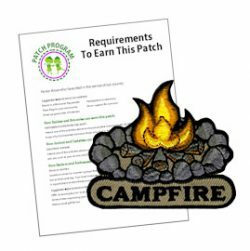 8 reviews for "Campfire Patch Program"
Great looking patch, my girls loved it! Great quality and very cute patch. Looks just like the picture. The badges are a colourful badge perfect to give our Joey Scouts and Cub Scouts who are attending our Group campfire for their camp blankets. They are a great price and arrived within the specified timeline. Great patches, quick delivery. I’m looking forward to selling them at our campfire program. 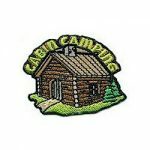 I ordered several different patches for camping vests I was making for my granddaughters first camping trip. I was very impressed with your patches. They were better than I could have ever imagined and they were a cinch to iron on the vests. The vests were a big hit but the patches made the day! My granddaughters are trying to figure out other patches they can earn. Thank you for the fast shipping and outstanding quality of your product! Awesome, cute patches for our Girl Scout event! Thanks! 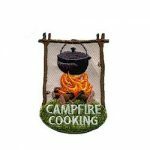 We ordered these patches for a GS Campfire Kick-off event. (our first townwide event of the new GS year) The patches are a nice size and the quality is excellent! We will definitely order from your company again!